"The transportation sector generates the largest share of greenhouse gas emissions. Greenhouse gas emissions from transportation primarily come from burning fossil fuel for our cars, trucks, ships, trains, and planes. Over 90 percent of the fuel used for transportation is petroleum based, which includes gasoline and diesel." About 28.5 percent of America's greenhouse gases come from transport. Close behind is electric power generation, with 28.4 percent of emissions. But as our electric system becomes more renewable, the proportion of greenhouse gases coming from transportation will increase if we don't move toward electric vehicles. Transportation's dominance of greenhouse gas pollution is a particularly American problem. This is because America's development pattern of suburbs and sprawl cities like Los Angeles, Huston and Las Vegas requires personal transportation. In New York City, most of our greenhouse gases come from powering our buildings. Most of our transportation is shared―it is mass transit, not personal transit. In the rest of the country, the car is king. America may re-urbanize, but its basic land use patterns will always require personal transport. Therefore, for America to decarbonize we need vehicles that do not use internal combustion engines. Fortunately, the era of electric vehicles seems to be upon us. "After years of promising electric cars, established carmakers are actually starting to build them. But manufacturers are realizing that a shift to battery power also requires them to retool their sales machinery. The old come-ons are obsolete. Range is the new horsepower. Connectivity replaces cylinder count. And sustainability is the new status symbol." "…electric vehicle customers pay close attention to the same things as other car buyers, like the purchase price. Electric cars continue to cost thousands of dollars more than conventional vehicles. High price remains an obstacle, mostly because of the cost of the batteries. That may be less of a problem than it seems. Electric vehicles already on the road are holding on to their value well…that allows carmakers to offer attractive leasing terms because they know the cars will command a good resale price when the lease expires. And many buyers of electric cars won't be individuals, but car-sharing services that buy them by the dozens and can spread the cost among more users. Those buyers tend to pay attention to the cost of a car over its life span rather than just the initial purchase price. Electric cars look better from that angle because they don't require oil changes and electricity is cheaper per mile than gasoline." And that is why there is momentum behind the electric car. 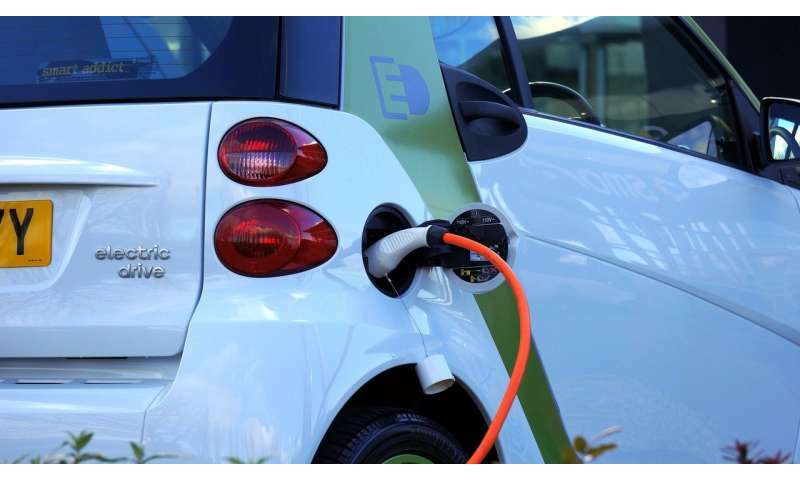 Electric vehicles cost less to run and maintain than cars with internal combustion engines. They have fewer moving parts, lower repair costs, and their fuel is less expensive. Manufacturers are targeting young people who have grown up in an ever-changing world based on advanced information technology. These cars are loaded with driver-friendly electronics. Suburban homes with garages are already equipped with vehicle charging capabilities. The next step will be to develop charging stations and methods for urban dwellers to recharge their vehicles. Although as Ewing indicated, many urbanites may simply forego vehicle ownership for ride-sharing or car sharing. The rapidity of technological change and consumer behavior is increasing. Once powerful companies like General Motors and General Electric are being supplanted by Apple, Google and Uber. Landline telephones are disappearing from our homes. Broadcast television was replaced by cable which is now being replaced by internet-based streaming services. Netflix started by mailing out CDs and replaced that with streaming and now is moving into higher profit and higher risk content provision. The energy sector and transportation sector may be huge, profitable, powerful and established, but that just makes them tempting targets for technological disruption. When we get used to a certain way of doing things, we sometimes believe they are permanent. Certain facts of human existence make some elements of our lifestyle permanent. We have biological and social needs for food, clothing, shelter, community and family. In our post-material, brain-based economy we require growing amounts of intellectual stimulation and entertainment. Our desire to move from place to place requires transportation, but it does not require an internal combustion engine. Auto technology and utilization have changed over the past century. If you compare a parkway in New York, like the Northern State, Hutchinson River, Taconic or Saw Mill, to the Thruway or the Long Island Expressway you can see how the automobile moved from being a recreational luxury to an economic necessity. Those parkways are scenic and unsafe. We once drove cars mainly for the sheer pleasure of the experience. While the technology of the automobile has incrementally improved over the past hundred years, electric and self-driving cars promise a dramatic change in both the technology of transportation and its social meaning. Services like Uber make auto ownership less critical than it once was. The meaning of the auto has changed in our culture over the past half century and we can expect further change. The auto as a status symbol may give way to a different meaning of the technology and the nature of its use. Low cost computing, information and communication has changed the way we live and work. When we leave our homes in the morning we check for our wallet, keys and now our smartphones. Perhaps someday soon, the wallet and keys will be unnecessary. Young people have now grown up with this information and communication revolution, and don't find it amazing that we carry in our pockets more computing power than NASA commanded when they first sent astronauts to the moon. There is no chance that the century-old technology of the internal combustion engine will remain much longer. It is a question of how long it will take to go electric. Change will be gradual, at some point may pick up speed, but will never be universal. I still have a landline in my home, but neither of my daughters do and I doubt many people under thirty ever will. Autos are bigger investments, and used autos have a market that will keep these engines in service for more than a decade. But it is clear that the change has begun, and before long the quiet hum and zero exhaust of the electric car will replace the noise and smell of today's motor vehicles.